The Scimitar Cup was sailed on Saturday afternoon 3 February 2018 in a steady South East breeze of around 12 knots. 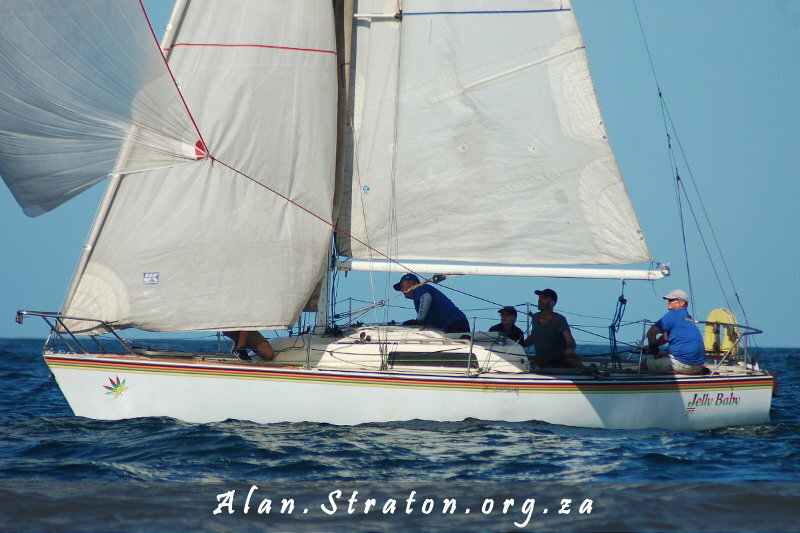 The course was a windward leeward laid along the beachfront with the top mark almost in line with the Shark Rock Pier and bottom mark out from the Port of Port Elizabeth western wall. Two races were sailed of around 45 minutes each with Jellybaby as the most improved yacht in the second race.